Ken Jacobs’s avant-garde landmark (1969) is both a study in the possibilities of rephotography and a film about watching movies. It begins with a 1905 short of the same title, in which a large crowd of people tumble through a doorway, leap from a loft, and climb out of a chimney in pursuit of the eponymous pig thief. Jacobs then rephotographs the film–slowing it down, freezing frames, introducing flicker effects, and isolating portions of the frame, some so tiny that we see mostly the grain. As he varies the rhythm the film becomes a series of carefully constructed riffs on particular characters or actions, or on pure shape; new meanings emerge from the little dramas between alternating shadows, or from background elements of the original. In a gesture at once didactic and poetic, Jacobs repeats the short near the end, and now it’s glorious to behold: we see its imagery more actively and intensely, far more aware of its complex and diverse rhythms. Thus Jacobs teaches us how to resee almost any film, by mentally reframing its images or changing the speed of its action. 86 min. 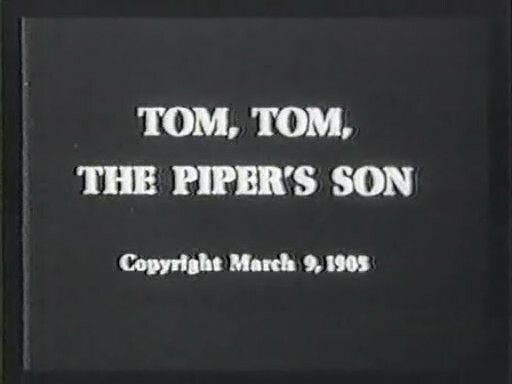 Tom, Tom, the Piper’s Son, Ken Jacobs’ seminal reexamination of a 1905 short film of the same title, transforms what was essentially an extended chase scene featuring a comic crowd of villagers into a meditation on the way we view films and on the medium itself. Certainly, the film reinforces the much-proffered notion that one of the goals of avant-garde cinema is to train the viewer to see cinema, and the world itself, through different eyes. After offering the short in its original form, Jacobs re-exposes his audience to the film repeatedly, closing in on myriad details that would have been impossible to note on a single viewing, looping and reversing the flow of the film to direct the viewer’s attention. From within these close-ups, he pans and zooms, creating an alterative perspective on the events of the short, showing that cinematic language isn’t necessarily set in stone when events are burned into celluloid. Jacobs’ approach has the curious effect of simultaneously abstracting and detailing the content of the movie that we’ve watched. Jacobs, working with a second rate print of an ancient film, pushes his camera in so close that often his screen is filled with a shape-shifting blur of pointillist motion. As viewers, we become privy to details that had escaped us on our initial viewing, the memory of which places a surprising number of the newfound elements into context. Still, there comes a point at which we get so close to those details that they bleed into motion for motion’s sake, and at that moment it becomes clear that Jacobs is less interested in fleshing out the narrative incident of the film, such as it is, than pondering the medium itself. By staring the original short in the eye, Tom, Tom, the Piper’s Son at once demonstrates the surprising amount of information that the camera can capture and the limitations of that ability. Jacobs examines the way figures in the faded print bleed into the background until they become undistinguishable from it, yet spends as much time pointing out particulars that the viewer’s likely missed. 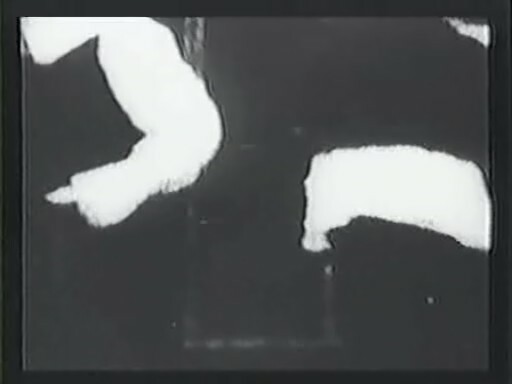 The grain of the film stock is wild and unpredictable, and examining its swirl frame by flashing frame in extreme close-up gives an appreciation of the process by which cinematic motion is created. Still, some of Jacobs’ most overt commentary on the medium itself seems mundane in the greater context of the film. 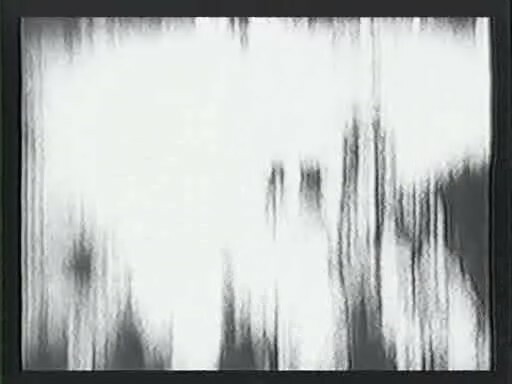 He spends about fifteen minutes running the reel of film backward in approximately real time, allowing the viewer only occasional glimpses of the frames. The effect of watching as the blurs of motion threaten to congeal into a concrete image is as disorienting as it is entrancing, but it seems like a strictly sensual exercise compared to the majority of Tom, Tom, the Piper’s Son. 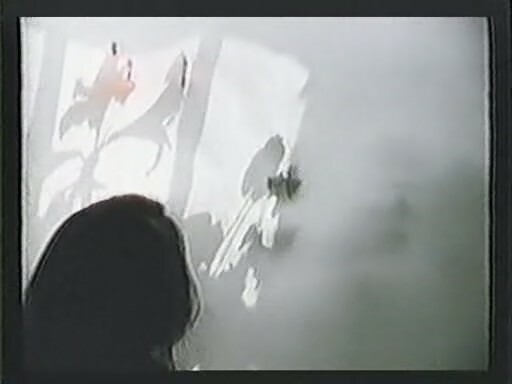 Other moments, such as those where Jacobs films himself watching the short or films flowers as their colors bleed through a backlit movie screen, distract from the task at hand. Even if things like the audience’s presence or the flow of light are inexorably tied to the experience of watching a film, such digressions are less illuminating than the context they’re placed in. It’s not exactly necessary to point such things out. Ultimately, though, the biggest problem with Tom, Tom is that it lacks the showmanship of similar works such as Martin Arnold’s Alone. Life Wastes Andy Hardy and Peter Tscherkassky’s Outer Space (each of which undoubtedly owes a great debt to Jacobs’ film). Somewhat didactic, and somewhat overlong, the experience of watching is perhaps more of a chore than it needs to be. Despite any quibbles, however, Tom, Tom is required viewing for those interested in this strain of cinema. The final sequence, which shows the audience the original, unaltered short once again allowing us to apply the knowledge we’ve gained, is a revelation. New details and mini-narratives emerge from every corner of the frame, resulting in the inexplicable feeling that you’re seeing it all for the first time.